Darjeeling: Elections to the Gorkhaland Territorial Administration (GTA) will be held after the Lok Sabha elections, either in August or September, stated Binay Tamang, chairman, Board of Administrators, GTA. "We had raised the issue of GTA election with the Chief Minister in the meeting. The elections will be held after Lok Sabha elections, before Durga Puja, tentatively in August or September," stated Tamang. At present, a Board of Administrators is at the helm of affairs in the GTA. The issue of holding GTA elections had cropped up during the Chief Minister's meeting with the Board of Administrators in Darjeeling on January 22 and again during an administrative meeting at Lalkothi, Darjeeling, on January 24. A host of development projects were discussed during the meetings. "Work order had been issued for the renovation of the GTA building that has been lying vacant at the Darjeeling Mor in Siliguri. The project will bear a cost of Rs 6 crore. The building will include an office and a tourist centre," stated Tamang. A Rs 32 crore project has been sanctioned and a Detailed Project Report (DPR) has already been made for a Gorkha Welfare Centre to be built at Saket, Delhi. The welfare centre will include separate blocks for students, patients and tourists. There will be cafeterias and a multi-purpose hall for marriages, conferences and banquets. "The Chief Minister will lay the foundation stone for this," added Tamang. The first phase of the ongoing Chowrasta Beautification project will end by April. This will be followed by the second phase. A Residential Sports Academy will come up in the old school building premises in Sukna. The GTA will soon initiate an e-office for smoother functioning. A GTA Mountaineering and Adventure Foundation will also be constituted. "We have also requested the Chief Minister for 2 IAS and 4 WBCS officers to be deputed to the GTA," stated Tamang. 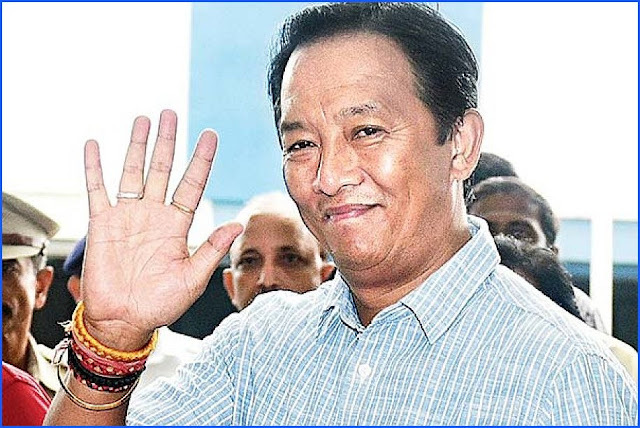 Elections to the Gorkhaland Territorial Administration (GTA) will be held after the Lok Sabha elections, either in August or September, stated Binay Tamang, chairman, Board of Administrators, GTA.